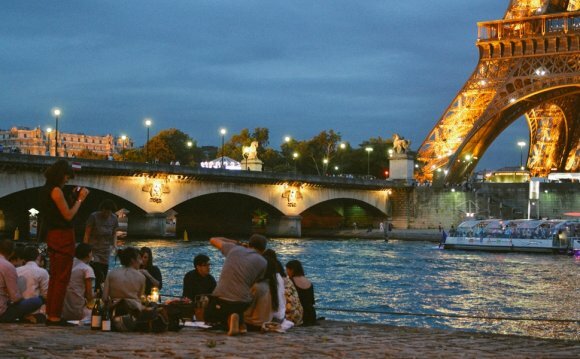 The true City of Lights (regardless of what Las Vegas or Johannesburg have to say on the matter), Paris is one of the most visited cities in the world, and commonly regarded as one of the most beautiful. From the patisseries and cafés, to the imposing architecture and famous fashion sense, the richness of Parisian culture and history is evident everywhere. Add in the city’s impressive selection of internationally ranked universities, and it’s not so surprising to find Paris heading the latest QS Best Student Cities index, ahead of Melbourne and London. If you’re ready to pack your bags and head to the French capital, check out these 10 top universities in Paris, based on the QS World University Rankings® 2015/16. École Normale Superieure (ENS Paris) is the highest-ranked among top universities in Paris and in France overall, placed at 23rd in the world in the latest QS World University Rankings. Situated in the scholastic Latin Quarter just west of the Seine in central Paris, ENS Paris is within walking distance of famous sights such as the Notre Dame Cathedral and the Jardin du Luxembourg, the second-largest public park in Paris. ENS Paris also offers the only residential campus in central Paris, along with two more campuses in the city suburbs. A research-led institute, the school is counted among the prestigious French universities which form the ‘’, and is particularly known for its departments of humanities and science. ENS Paris boasts an alumni community that includes 12 Nobel Prize winners, as well as all eight French Fields Medals winners – the most coveted prize for young mathematicians. Ranked 40th in the world, École Polytechnique (ParisTech) is a founding member of ParisTech (an affiliated group of colleges focusing on science and business subjects) and is the highest-ranked university in France for engineering and technology, in the latest QS World University Rankings by Faculty. Although having once been situated in the Latin Quarter, École Polytechnique relocated to just south of the city in 1976. Located approximately 30 kilometers outside of central Paris and with a community of over 4, 600 students and teachers, École Polytechnique’s main campus offers over 160 hectares of open space and a range of outside sporting facilities which many campuses within the city center can only dream of! The Université Pierre et Marie Curie (UPMC), ranked joint 137th in the world, is one of the largest teaching institutes of science and medicine in Europe, with more than 125 laboratories. Established in 1971 after the division of the famous University of Paris, the Université Pierre et Marie Curie (UPMC) has a community of 34, 000 students, of which 20% are international students, and a faculty of 8, 600 staff, of which 80% are in research structures. Divided amongst 18 different campuses in four French regions, Université Pierre et Marie Curie’s central campus is located in the vibrant and historic Latin Quarter of Paris, neighboring the River Seine and the National Museum of Natural History. Université Paris-Sorbonne, or Paris IV, is a co-founder of the Sorbonne University alliance (another collective of leading French universities, which also includes UPMC) and is an inheritor of the arts, languages and humanities faculties from the original University of Paris.